The “aviation security enhancements” — which is known more popularly and appropriately as an electronics ban — became effective on Tuesday, March 21, 2017 with which all personal electronic devices larger than a mobile telephone were required to be placed and secured in checked baggage at ten airports from which flights depart for the United States, as they were no longer permitted in carry-on luggage or other accessible property in any passenger cabin aboard airplanes on the affected flights. As first mentioned in this article pertaining to Royal Jordanian Airlines — from which the news of the electronics ban was first leaked — necessary medical devices would continue to be allowed to remain in the possession of the passenger after he or she has been screened. 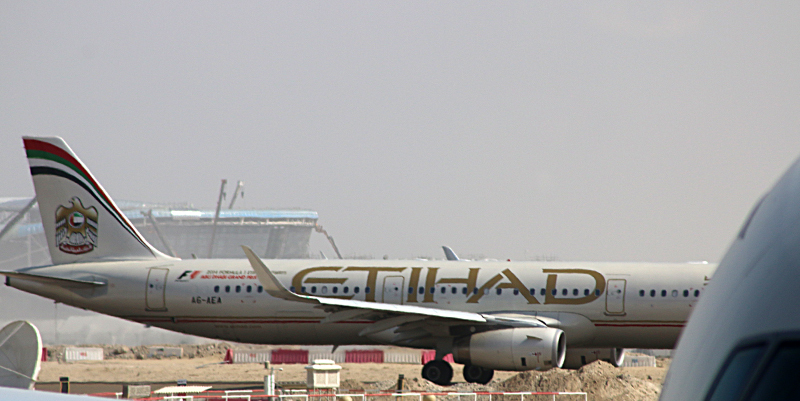 Etihad Airways was the first airline which was permitted to be removed from the electronics ban; and one reason may be perhaps because Customs and Border Protection of the United States already has a facility at Terminal 3 in Abu Dhabi International Airport which allows passengers bound for the United States to process all immigration, customs and agriculture inspections in Abu Dhabi before departing so that they do not need to go through the customs and screening procedures once they arrive at their destinations. Following the lead of Etihad Airways were Emirates Airline, Turkish Airlines and Qatar Airways — with Royal Jordanian Airlines being the latest airline to be exempt from the electronics ban — meaning that passengers may once again board airplanes with their portable electronic devices. The electronics ban was meant to remain in place through the middle of October; but the aforementioned five airlines have implemented new and improved security procedures at their base airports which meet the stricter criteria as required by the United States. There are reportedly legitimate reasons why the electronics ban became effective back in March — but there are also people who believe that the electronics ban was overkill. In May of 2017, there was talk of the possibility of the electronics ban being expanded to include airports in Europe; and then shortly after, possibly applying it to all international flights to the United States — but there was reportedly resistance from governmental authorities in other countries in response to that potential directive. As it is already equipped with a facility which arguably incorporates similar equipment and policies to screening passengers at airport security checkpoints in the United States, I still have no idea why Abu Dhabi International Airport was affected by the electronics ban. …and did the federal government of the United States just do what is known on FlyerTalk as a “giveback” where an airline takes away benefits to the detriment of members of its frequent flier loyalty program — only to placate them by “giving back” only one or two partial or whole benefits? The message is crystal clear. I do what I want, whenever I want. No need reason or explanation. My way, or no way. So, in the future, for example US government wants to regulate airfare, service level or anything for any flight inbound to US soil, you have no other choices than to comply, even if you are foreign airlines.